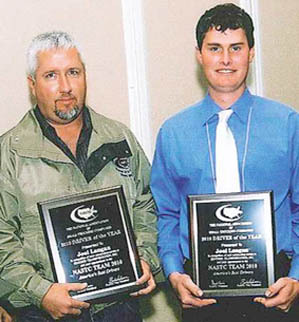 Joel Langan, a driver for Zentner Transportation in Cedar Rapids, NE, was recently honored as a “Driver of the Year” at the annual convention of the National Association of Small Trucking Companies (NASTC). Langan has driven for Zentner Transportation for more than 20 years and has been a professional truck driver for more than 21 years. He has logged more than 3.2 million miles without an accident.